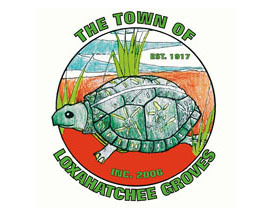 The Loxahatchee Groves Town Council last week discussed appointments to advisory committees, noting that nominations are due by Tuesday, April 2. The reminder had been on the consent agenda for the March 19 meeting, but Vice Mayor Pro-Temp Robert Shorr pulled the item for discussion. Shorr said he wanted to see full membership on all the committees. Shorr noted that at the last meeting, there had been a motion approved to get all committee members who have served over the past year a certificate of appreciation. “I want to make sure that happens, that we get certificates to everybody who has served,” he said. Shorr pointed out that having alternates to all the committees had been approved earlier by the council in order to make sure that meetings have quorums. “There’s six positions on each of the four committees, so we need 24 people out there volunteering,” he said. Council members asked if they could solicit volunteers through social media, and Town Attorney Michael Cirullo said that was OK, as long as responses were routed through the town, either by the council member or the respondent. “Also, just so you know, anybody can just come into town hall and put in an application, and you all can go through anything that comes through town hall,” Cirullo said. During public comment, Paul Coleman said he would like to volunteer, but it was hard to take time off from work. Coleman suggested asking sitting volunteers when they are holding their meetings. Councilwoman Phillis Maniglia said part of the challenge in the past had been arranging meetings when necessary staff were present. Maniglia noted that some evenings, the building is rented for other purposes. She asked if a schedule could be worked out for the committees to meet at night. Town Manager Jamie Titcomb said he felt new meeting schedules could be worked out and recommended following the regular committee member selection process. Mayor Pro Temp Dave DeMarois said that in the past, the council had been able to appoint most committee members at the beginning of April. “We’d like to encourage people to go ahead and come forward,” DeMarois said. Nina Corning, vice chair of the Roadways, Equestrian, Trails & Greenway Advisory Committee, said she felt there was no problem with committees meeting in the conference room when other entities are in the council chambers. Former Councilman Jim Rockett, who once chaired the Finance Advisory & Audit Committee, said that committee had set alternate dates to meet in the event that one date turned out to be undoable or lacked a quorum.